A view from a walk between Ardnave and Sanaigmore a few years ago. This was an Islay walking week walk taking us around Ardnave Point and then along the coast and wide open spaces to Sanaigmore. This was nearer Sanaigmore, where the views very much opened up at times. 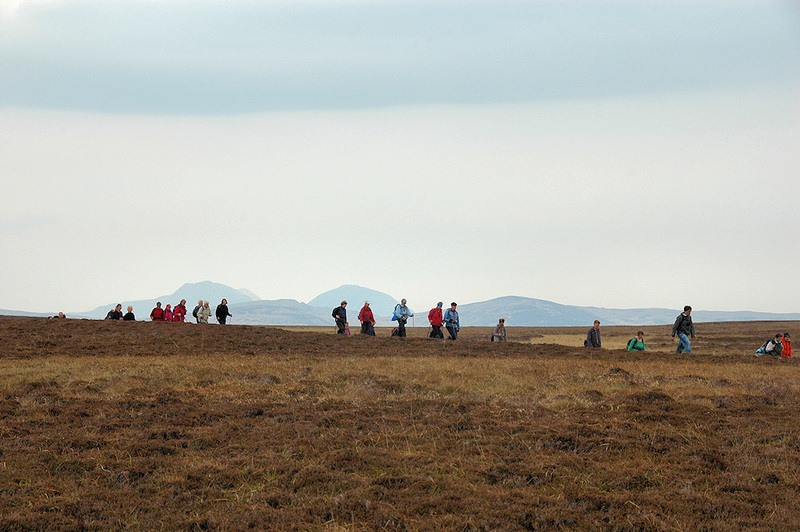 The hills east of Loch Gruinart and behind them the Paps of Jura in the distance behind the walkers. This entry was posted in Cloudy Weather, Landscape, Repost and tagged Ardnave, Islay, Paps of Jura, Sanaigmore by Armin Grewe. Bookmark the permalink.